I love to make gremolata. The traditional ingredients are parsley, lemon and garlic. It is a wonderful combination. This is a twist to the traditional recipe, and just as good. I like this recipe for southwestern and asian recipes. Remember, this is good on salads, soups, and flatbreads. I like to keep both kinds in my refrigerator to jazz up a dish. 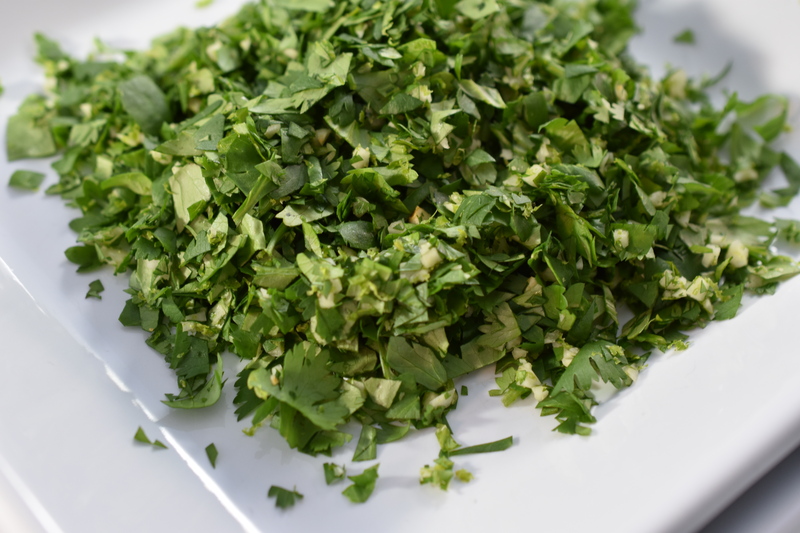 Just like the traditional gremolata, this version only has three ingredients. All you have to do is mix and refrigerate. Do you use the juice or just the zest? Thanks! Just the zest. I find it too liquid otherwise.